This kind of compliment has met my ears when my students take home a project they have done in class. It is a sweet compliment meant to say, “Teacher! You are so creative. Great work with the kids!” but they aren’t really commenting on the learning that happened during or leading up to the project. That is what I most care about, even if it is nice that parents are impressed visually. The cute factor is a familiar trap we all can face when planning crafts and art projects. It is an easy temptation to desire the cute compliment but do not succumb! 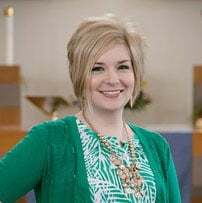 Instead, keep your focus on the mission of crafts—to connect hands and hearts with the Bible lesson and reinforce the Gospel message from God's Word. 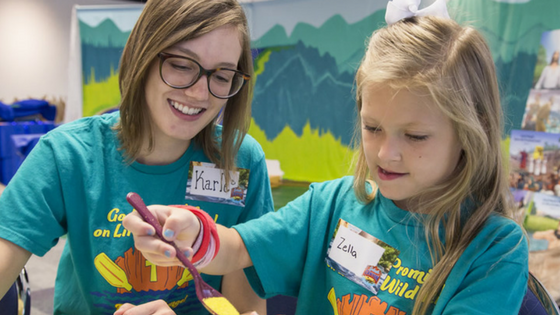 At VBS or Sunday School, your sole mission is to share and teach the word of God and build relationships in the church. It is different than school, where you are focused on reinforcing fine motor skills. It isn’t an art fair with prizes for the most intricate or Pinterest-worthy artwork. When you do a craft for a program like this, it is an active way to further share the word of God. Activities such as crafts are excellent ways to get minds active about learning. I know that I remember something much better when I have to do it, not just hear about it. Crafts are learning activities, but also at the end, reminders of the lesson to take home! They are better than notes in a notebook—tangible, colorful, three-dimensional reminders of God’s promises! At least, that's what crafts should be. It's easy to lose the focus of the mission when planning a craft. Time can be so precious when working with children. Is the craft I have planned worth it to take up valuable time? I encourage you to look at the crafts you have planned for VBS, Sunday School, or for any Christ-teaching reason. Is it reinforcing a Bible verse to be put to memory? Is it a group craft to build teamwork and social bonding? Is the craft’s purpose to build excitement about a biblical concept? Is the craft meant to inspire mental reflection on sin and salvation? Is the craft designed to help or serve someone else’s needs? Is the craft helping you make a higher-level concept visual and attainable for young minds? These questions or mission ideas are not exhaustive but they are meaty. Crafts are not fluff (though they may use fluff). Crafts have a real and valuable purpose. They do not need to be incorporated all of the time, but their integration into a program adds another layer of reinforcement for different types of learners. I implore you to avoid the following reasons for planning a craft: it's just for fun; it's cute; it fills time; or we have always done one. Leave these missions for Pinterest artists and craft clubs. Church crafts have a bigger job to do. If my mission is to inspire reflection on Christ’s salvation of our sinful souls, and I plan a craft that takes full mental focus to weave string through beads, I may be missing my mark. If my mission is to reinforce putting a Bible verse to memory but I spend the whole time on the craft and barely any time on teaching the verse, I also have missed the mark. Compare the mission to what the children before you are actually going to take away from the experience. Whether you're following a VBS craft guide or creating your own, set your mind on the mission of your craft. Ask yourself, How is it extending the teaching of God’s Word? You may hear compliments at the end, but you will know that activity was so much more. It would then be my prayer that those little voices could explain the story, verse, or lesson to their parents to continue sharing God’s word.